In the second half of the nineteenth century and the first half of the twentieth century a variety of forces emerged which changed society in many profound and subtle ways. 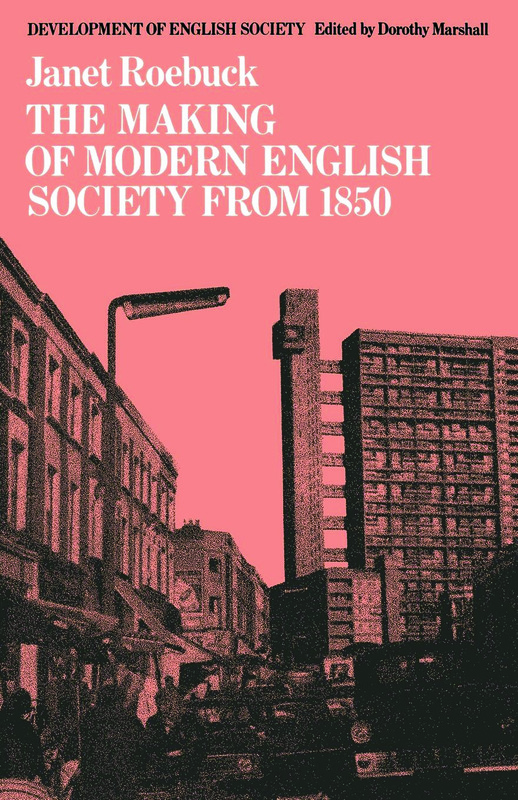 The Making of Modern English Society from 1850 uses the findings of recent historical and sociological research contemporary literature, and a wide range of historical sources to form a clear picture of the main patterns of the social changes which took place in this turbulent period. Jane Roebuck shows how in these hundred years the whole fabric of society altered more rapidly and radically than in ant preceding century. She gives and account of the dramatic change which occurred in all spheres of national liked. She demonstrates how the drift towards socialism, which began in the nineteenth century, gathered momentum in the twentieth and how massive social chance was on produce of the two world wars. In the field of economics, the author considers the development of the maturing but still primitive industrial economy of the mid-nineteenth century into a modern economy based on mass production and mass consumption. She also describes the change in emphasis from desire for world power to concern for domestic prosperity and welfare services.